Former Military President, General Ibrahim Badamasi Babangida, has charged the Peoples Democratic Party (PDP) to provide a better choice for Nigerians in 2019. 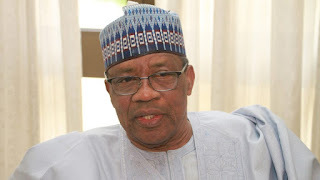 According to a statement from the PDP National Publicity Secretary, Kola Ologbondiyan, Babangida spoke in Minna, while receiving members of the National Working Committee (NWC) of the party led by its National Chairman, Prince Uche Secondus. Commending the elective national convention of the PDP, the former president was said to have noted that not a few Nigerians believed that the national convention would hold, adding however that the outcome was successful. Babangida also appreciated the steps being taken by the Secondus leadership to re-position the party. Earlier, Secondus had told Babangida that former leaders of our nation must rally together to save our nation from the current administration. He lamented the killings and economic hardships, which Nigerians contend with on daily basis, stressing that our country has never witnessed the type of division we are currently facing. He therefore urged all Nigerians to rally with the repositioned PDP to restore the nation once more to the path of peace, national unity and economic prosperity.